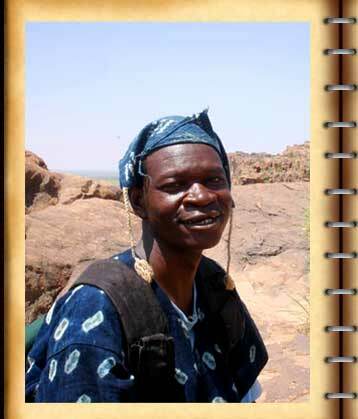 Mamadou Traore (or 'Man' for short) is a professional Dogon guide speaking English, French, Bambara, Peul, and several Dogon dialects. He was born about 1970, the son of a Dogon artist. He entered the tourism business at an early age, and has been guiding both package tours and individual tourists around Dogon country, Timbuktu, Djenne, Mopti, etc for more than fifteen years. Man is a member of the Bandiagra Dogon Guides Association.